Registration F-GRAE was reserved for Eurocopter EC120 B c/n 1024. The registration was ntu for this airframe but alloted to EC120 B c/n 1049. In March 1999, the 1999-built Eurocopter EC120B Colibri c/n 1024 was registered in Germany as D-HVIP with the VHM Schul und Charterflug. Early 2000, Colibri D-HVIP arrived at the Heli Holland heliport in Emmen, the Netherlands, for maintenance with Heli Holland Technics. After maintenance, the EC-120B was registered G-ZWAR in the UK with Hedgeton Trading Ltd., Surbiton, on 14 April 2000. Colibri G-ZWAR was delivered to Spain. Early 2003, the helicopter returned to Emmen for maintenance. Since, Colibri G-ZWAR was operated in Scotland by HJS Helicopters, based on a privately owned and operated helipad at Peterculter just outside Aberdeen in the North East of Scotland. 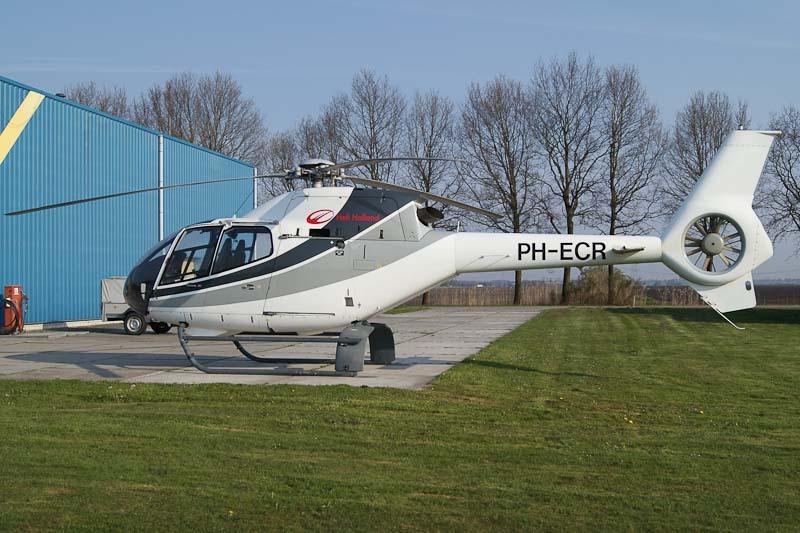 On 15 May 2008, a reservation for registration PH-ECR by Heli Holland Holding BV was recorded for this chopper. On 18 July, registration G-ZWAR was cancelled and on 22 July 2008, the helicopter was registered PH-ECR wit Heli Holland BV, Emmer-Compascuum. On 3 December 2008, the PH-ECR was registered with Heli Holland Holding BV. On 27 June 2017, registration PH-ECR was cancelled as the CofA was expired over a year. The Eurocopter EC120 B is stored at the Heli Holland heliport near Emmen.